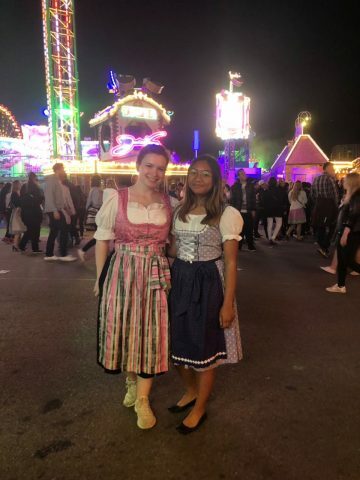 First-Year and Catalyst staff writer Eileen Calub celebrating Frühlingsfest in Munich. During the transition from high school to college, it may seem as if the buildup of stress merely transfers over from the previous institution to the next. A 2015 study on academic burnout by research scientists at the New York University College of Nursing (NYUCN) revealed that “youth experience high levels of chronic stress, to the extent it impedes their abilities to succeed academically, compromises their mental health functioning and fosters risk behavior.” Now more than ever, simply taking a break can be a crucial act of self-preservation. Poet and activist Maya Angelou once wrote, “Every person needs to take one day away. A day in which one consciously separates the past from the future.” Sometimes, a longer period of time is required to rest, heal, reflect and maybe even have an adventure away from the monotonous cycle of daily life. Thus, more and more students are choosing to take a gap year. Although gap years are common in Europe, they are only beginning to grow more popular in the U.S. In part, they have been popularized by high-profile figures making this key decision, such as Prince Harry and Malia Obama. 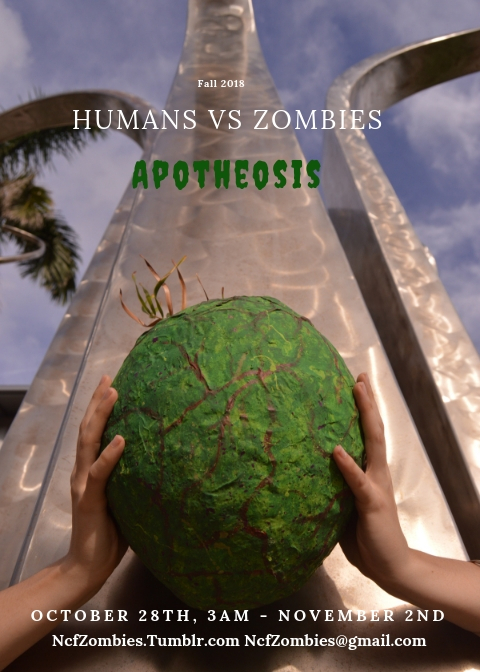 Students decide to take a gap year for a variety of reasons, such as to travel, work or regain one’s health. Taking a year off presents several possible benefits, depending on what one chooses to do, including “practical field experience,” “clarity about career ambitions” and a “reignited curiosity for learning,” as listed by the Gap Year Association. In email interviews with the Catalyst, several New College students shared their stories and reasoning for taking a gap year. 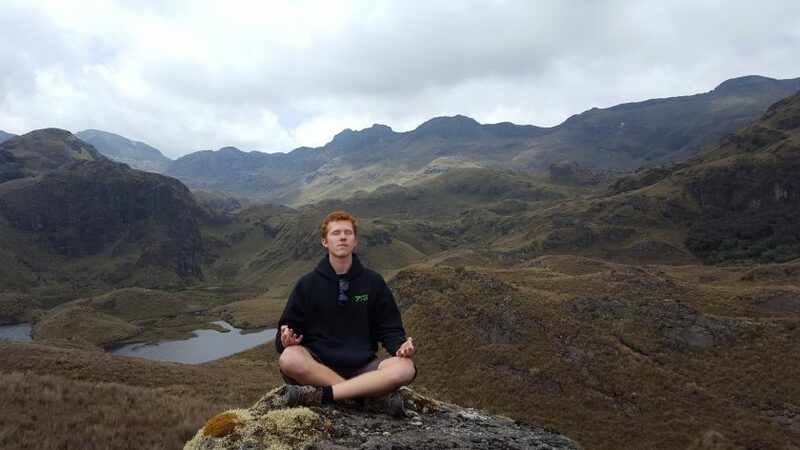 First-Year Jacob Brody-Ogborn meditating on a mountaintop. During the year, he was able to travel and volunteer in Ecuador, work in a hotel in Costa Rica and work as a waiter in England. While in Washington, D.C., Brody-Ogborn worked as an intern for Virginia Sen. Tim Kaine. Brody-Ogborn added that he also appreciated being able to spend a vacation in Ibiza, Spain, bonding with his family. Students may also focus on one activity during their gap year. Thesis student Sofia Eury volunteered at a Baha’i Temple in Panama City, Panama before attending New College. “I wanted to do something interesting and I wanted to do it in a Spanish-speaking country,” Eury said. Fellow thesis student Elly Bovarnick took a gap year between high school and college as well, spending nine months with the Nativ College Leadership Program, during which she took classes, volunteered and traveled throughout Israel. She lived half the year in Jerusalem and the other half in a small youth village in Haifa. With all the great things one can accomplish during a gap year, why limit yourself to one? Visiting student Jenny Chen took two gap years, one spent in New York and one travelling throughout the United States. After high school, Chen joined City Year, an Americorps program, and helped tutor middle school students. A year and a half into college, Chen decided to put her academics on hold once more and worked on organic farms through the World Wide Organization for Organic Farming (WWOOF) while couchsurfing in the homes of strangers. If taking an entire year off seems too daunting, there is also the option of taking a gap semester. Third-year Angel Reyes spent several months working and travelling, making his way from Sarasota to his hometown of Austin, Texas, then journeying to Portland, Oregon for a tour of the Pacific Northwest. Afterwards, Reyes hopped on a flight to Southeast Asia to explore Vietnam, Thailand and Cambodia. Before taking a gap year, there are some important considerations, including assessing one’s financial situation and setting out one’s goals and activities. On the other hand, one could be more spontaneous. “I made the decision and did it within a week,” Reyes stated. Moreover, not all teens may be immediately college-ready after graduation. “Going straight to college without first understanding one’s own habits and maturity-level is a very costly mistake,” Chen said. As someone who took a gap year, I can definitely say that spending a year studying, travelling and living with a host family in Germany was the best decision I’ve made in my life. Not only did I create meaningful bonds with my host family and classmates, but I also attained proficiency in the German language that I will be able to use for the rest of my life. After enjoying my freedom travelling Europe, interning as an English teaching assistant and exposing myself to new cultures, I felt a new, stronger sense of independence and self-confidence. 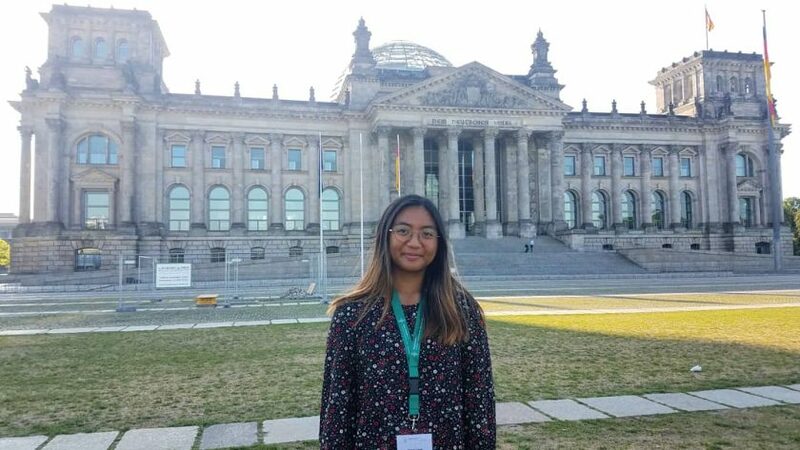 First-year and Catalyst staff writer Eileen Calub visiting the German Bundestag. While some people may claim that taking time off puts one “behind” one’s peers, spending a gap year developing oneself and exploring new places equips students with real-life experience and skills that other college students will not be able to learn from a classroom. Before long, new responsibilities and obligations may get in the way of pursuing a gap year. These New College students urge everyone to take a chance and step off society’s conveyor belt. Information for this article was gathered from Wouldn’t Take Nothing for My Journey Now by Maya Angelou, the New York University College of Nursing (NYUCN) and the Gap Year Association.